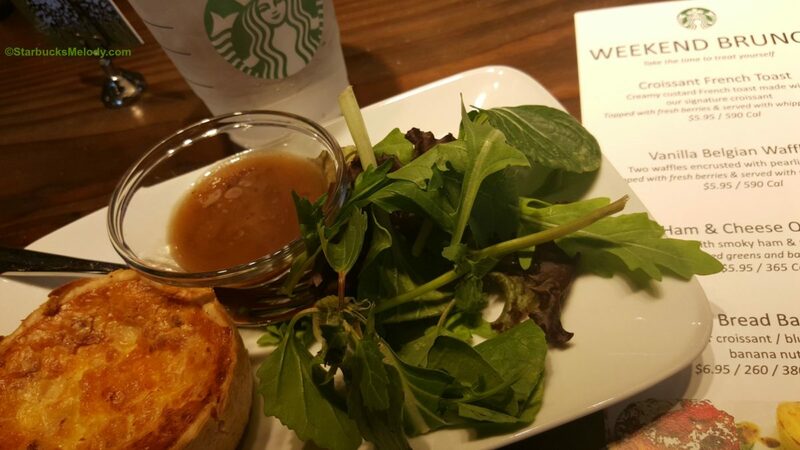 Starbucks is testing a “Weekend Brunch” concept for the Evenings stores. This test is only happening for six days so you have to get there soon to experience it. The new brunch is available from 8 AM to 2 PM, on September 12th, 13th, 19th, 20th, 26th, and 27th. 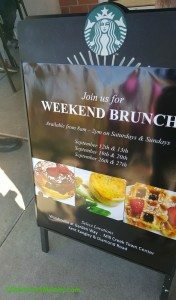 So on the first weekend of Weekend Brunch, I headed to Mill Creak Town Center to check it out. I tried the Vanilla Belgian Waffles and the Ham and Cheese Quiche. The Quiche was delicious and I very much liked the balsamic vinaigrette dressing with the salad. I suppose that if you had really hoped for a different dressing, this wouldn’t be for you since balsamic vinaigrette is the only option. The Waffles were yummy. They were a little dense and you could really taste the pearlized sugar. One thing though is that there’s no way to order syrup with your brunch. 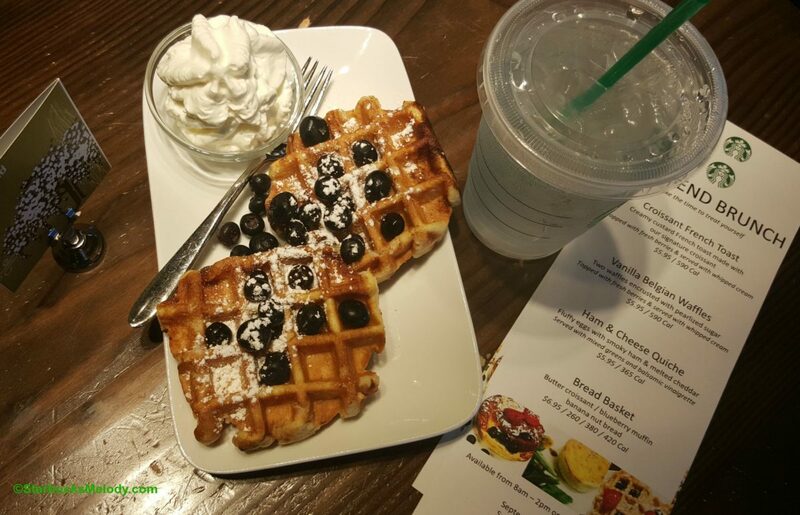 The waffles came with just the right amount of whipped cream and plenty of blueberries. One of the unique things about the food test is that you order your food, then sit down. The partners will bring your brunch to you when it’s ready. In the photo with the waffles, you can see a little sign that has the Willow Blend coffee graphics. That little thing acts as your ‘number’ and partners know to bring you your food. What would you want to see for a brunch option at Starbucks? Do you know if there’s any chance it will be in Chicago? You had me at the word “brunch”. One of my fellow partners makes a faux French toast at work with cinnamon dolce syrup on a split croissant and it’s delicious. I wonder if this French toast is made in the same way. Hope this goes well so that my store can do it too! Yay! Two of those locations are ones I go to regularly! Thanks for the heads-up Melody!